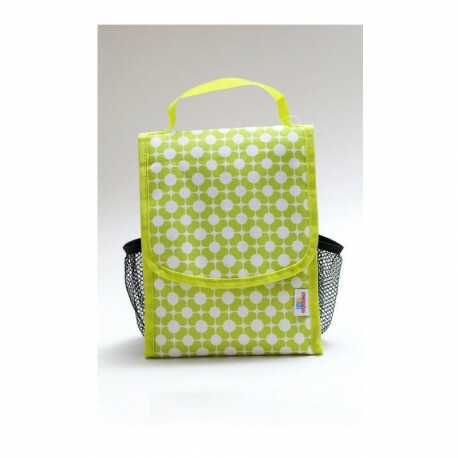 For a family walk or a day in the park, the Fill N'Squeeze insulated bag will allow you to keep your child's lunch at the ideal temperature, with its 5 litre capacity, you will be able to put your gourd Fill N'Squeeze in it or some others accessories for a lunch. The closure is made by a velcro on the front of the bag and can be worn be a handle which is on the top of the bag. The lunch Inside the bag can be kept at their temperature for 5 hours. 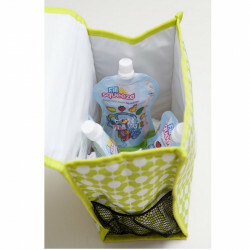 In addition to the 5 litre capacity, the bag has 2 pockets on the sides to improve storage options. 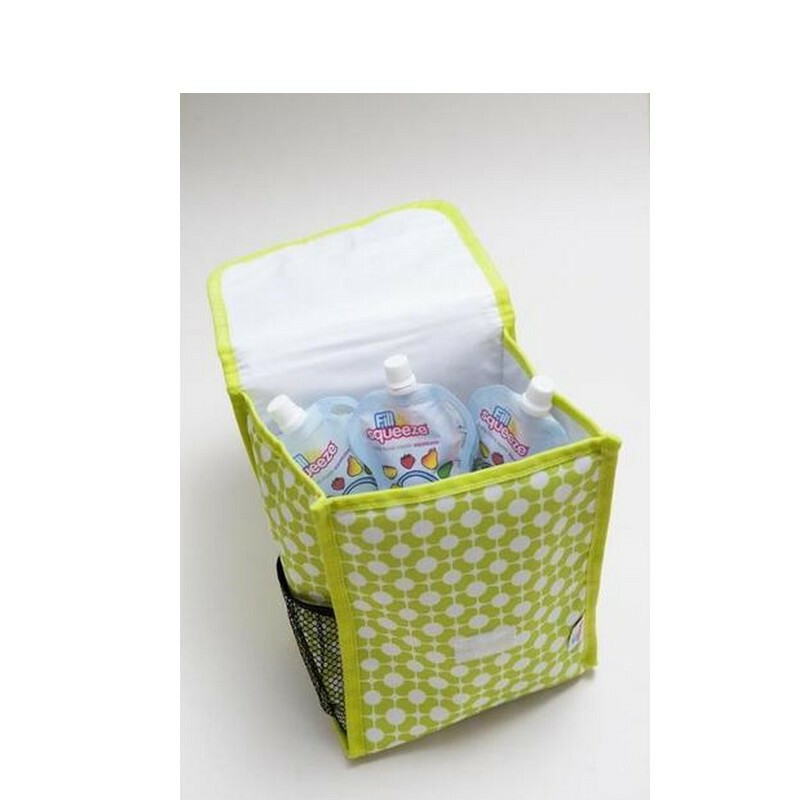 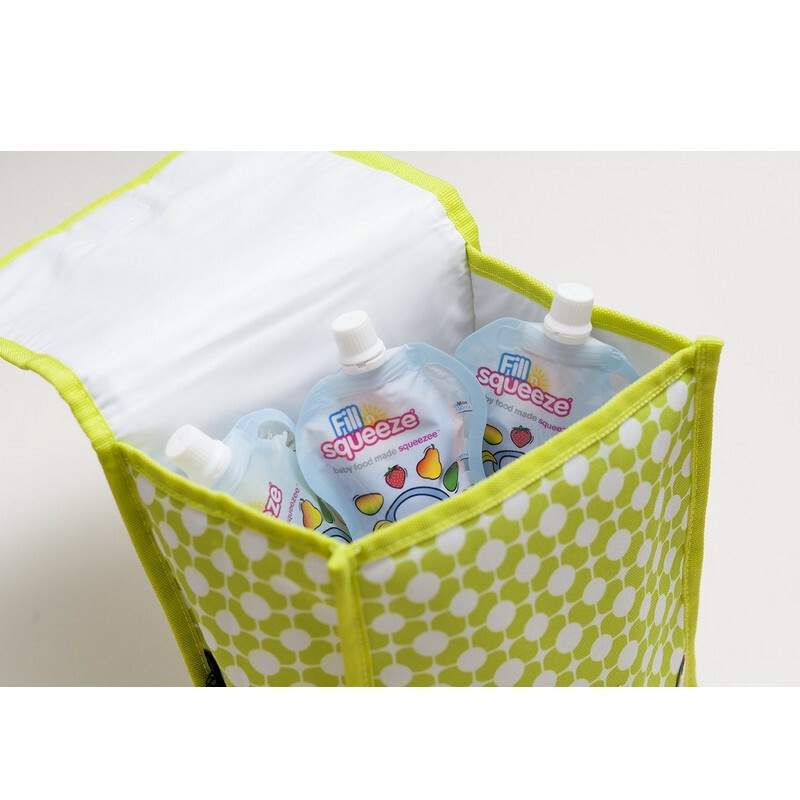 Moreover this insulated bag is very hygienic and easy to clean thanks to the inside matter.